Contact the owner at 251-610-six eight zero three. 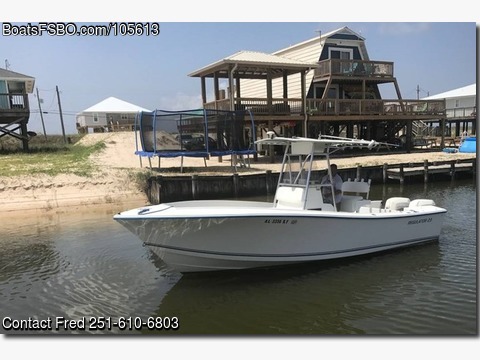 New Price Great Condition, 100 new deck in 2017, Covers for center console and leaning post Engines have less than 400 hours New in 2017 Simrad 9" color chart plotter/Fishfinder Icom VHS Furuno GPS xc Clarion Stereo Tow Master Aluminum Trailer with Spare Tire Anchor wIth 300' rope, H.D. CHAIN COAST GUARD PACKAGE vest, horn, fire extingsher.